This Hale Georgian style 5 light crystal chandelier in polished chrome is magnificent and classic. Featuring circular ceiling cup, chain suspension and polished chrome frame, with cut-glass encased stem. Five curving barley twist glass encased arms are fitted with candle style lights and chrome candle tubes and dressed with intricate crystal detail including octagonal and bomb drop trimmings. 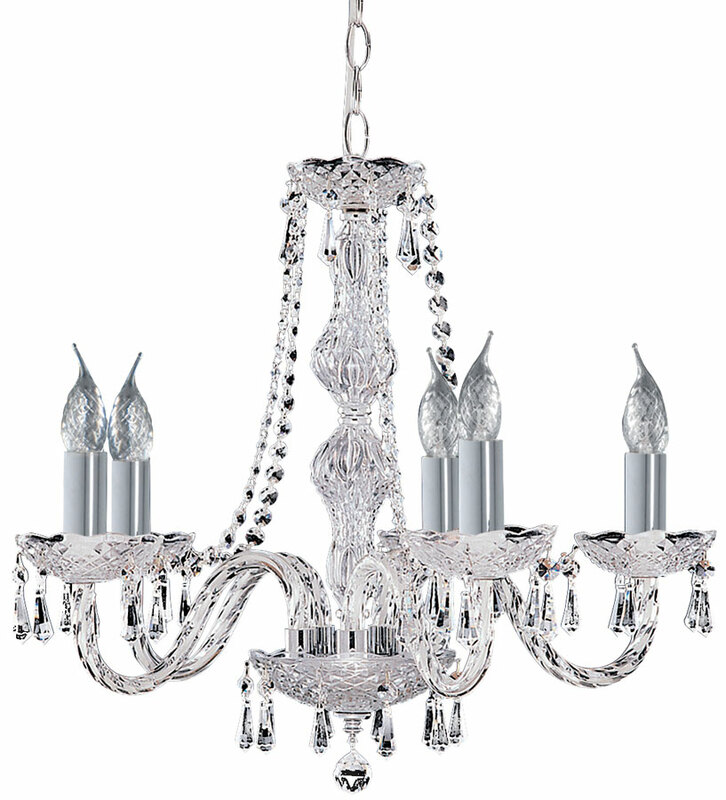 Sparkling crystal style for any bedroom, living room, dining room or hallway. Height adjustable at the time of installation by removing chain links to achieve the desired drop; please see the technical information below for dimensions. This sparkling light is supplied by Searchlight who manufacture some of the best traditional and modern classic designs such as the Hale Georgian style 5 light crystal chandelier in polished chrome you see here. The Hale 5 Light crystal chandelier is created using glass crystals.